Directed by Mark Rydell. With John Wayne, Roscoe Lee Browne, Bruce Dern, Colleen Dewhurst. 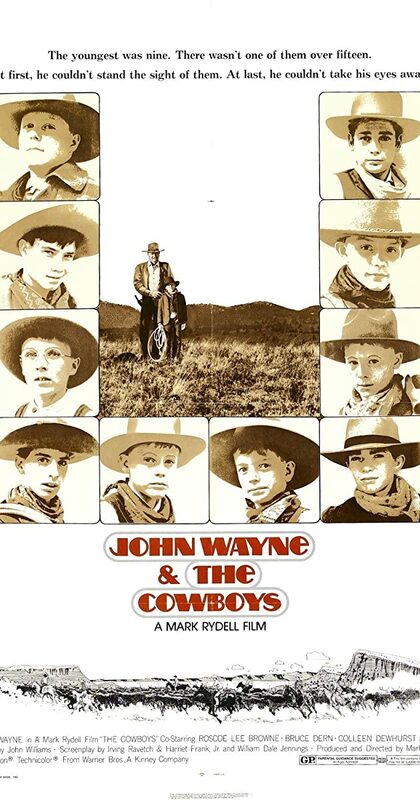 Rancher Wil Andersen is forced to hire inexperienced boys as cowhands in order to get his herd to market on time but the rough drive is full of dangers and a gang of cattle rustlers is trailing them.